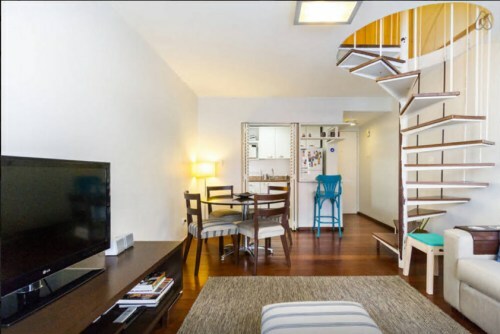 TAM Airlines is currently showing some pretty cheap flights from Toronto to Sao Paulo, Brazil (GRU), for as low as $628 CAD roundtrip including taxes. 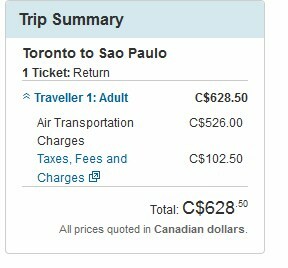 Roundtrip flights from Toronto to Brazil tend to bottom out in the $950-$1000 range these days, so this is over 30% cheaper than the usual best prices. The cheaper dates look to be focused between April 2015 and the third week of June 2015. The flights have one stop each way, in New York (JFK). Do Canadians need a visa to visit Brazil? Yes. A tourist visa costs $97 if you submit the visa application to the Brazilian consulate in Toronto yourself (or for quite a bit more if you Google around for third party services that will do this on your behalf). 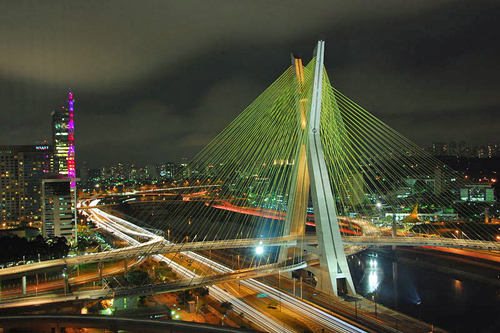 toronto, yyz, flight deals, south america, brazil, sao paulo, gru and tam airlines.